Eden is our stunning Emerald cut Diamond solitaire Engagement Ring. Featuring four secure claws and elegant crossover detail this ring will be a beautiful addition to your jewellery wardrobe. 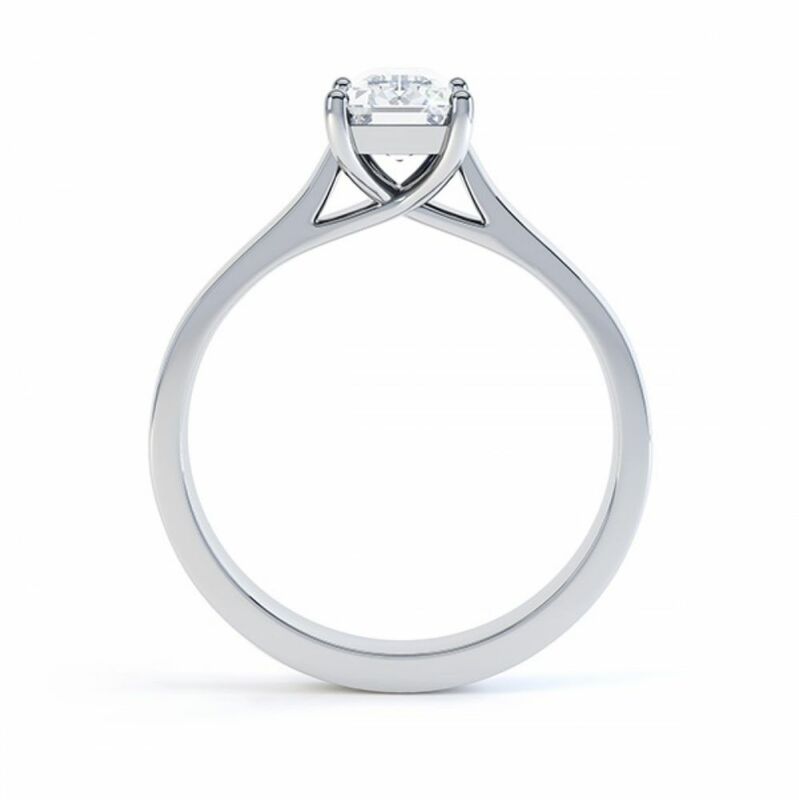 The flat profile is available in 18ct White Gold, 18ct Yellow Gold, 950 Palladium and 950 Platinum. 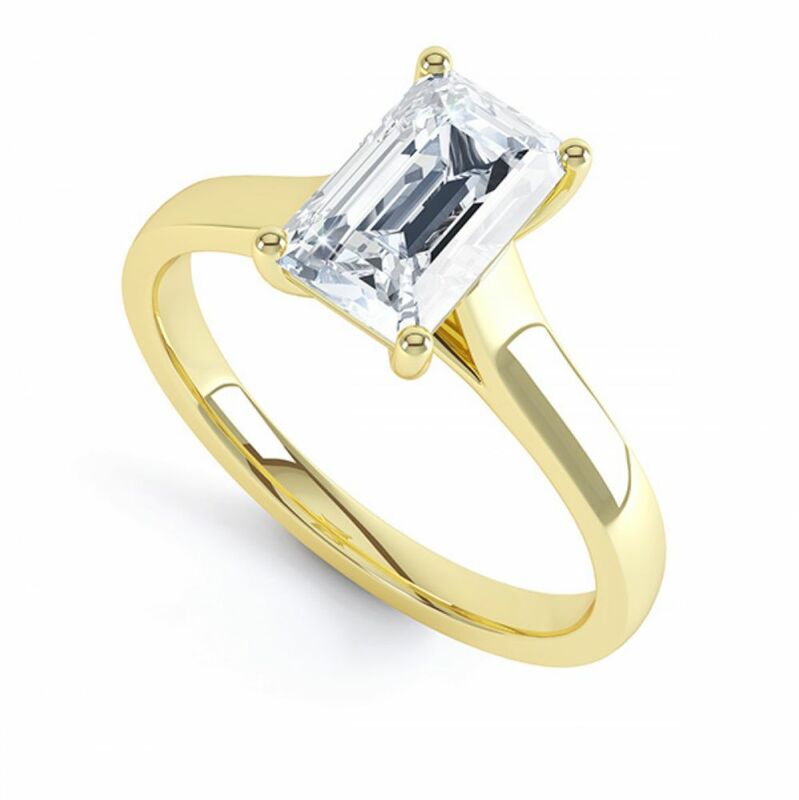 Also the option to go for Fairtrade, 100% ethically sourced gold is also available. We require 3-4 weeks to create your lovely design for you and deliver it securely to your door in our bespoke packaging. 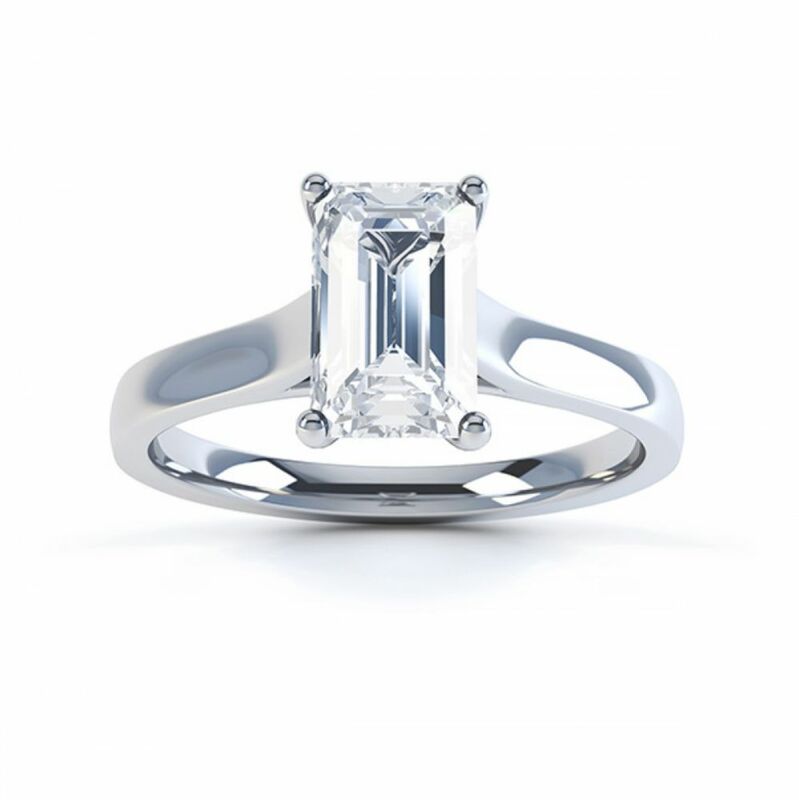 For your added reassurance, we offer a 60 day money back guarantee and a free ring size adjustment. 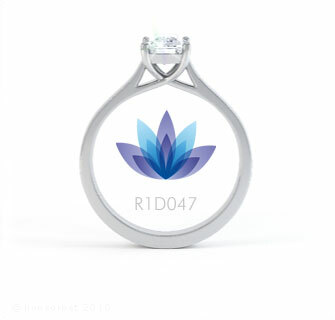 Product : Ring was amazing the layout of the package it came was also amazing and I liked the little proposal box that they also supplied, a lot better touch than most jewellery places. Service rating : Item was delivered very quickly. Wasn't updated on the process once. Product: Product itself is perfect. Product : Ring was beautifully made and precise.